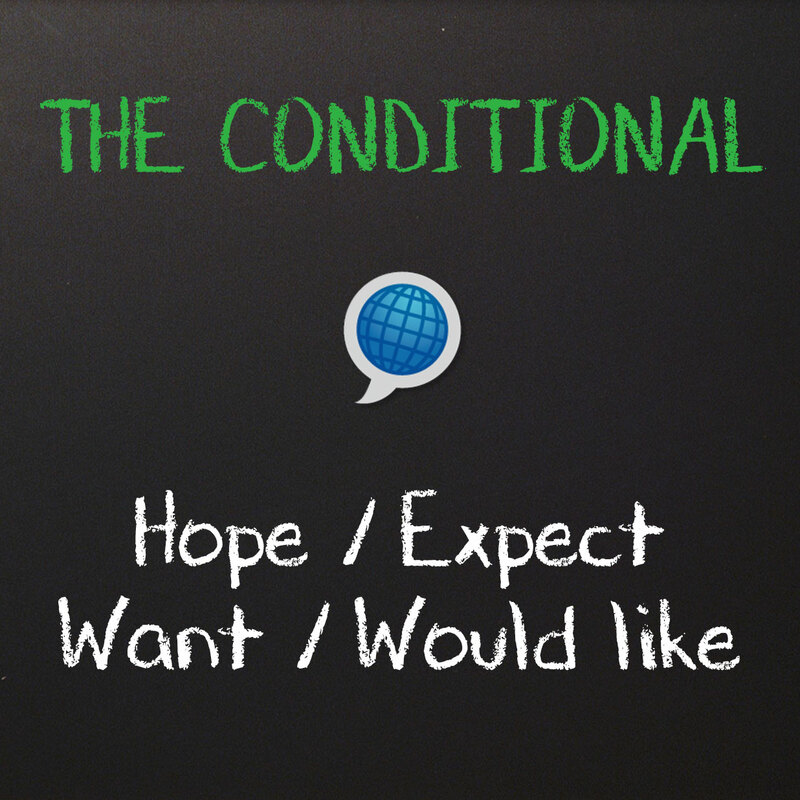 Download this free English grammar lesson and learn how to use hope, expect, want and would like. We use hope to show a desire/wish that the speaker believes is or was possible. We can use hope to talk about the Future or Past. For Past, the outcome has usually already been determined. I hope you (can) visit Key West next week when you’re visiting Florida. I hope to have visited Key West by the time I go back to Italy. I hoped you would/could come to my party yesterday. I was hoping you would/could visit Key West last week. I had hoped you would/could let me borrow your computer last week. I had hoped to visit Key West last month, but I didn’t have time for a vacation. We can also use expect, want, and would like to show a desire or wish. Expect is used to show something that is desired and is considered probable or certain. I expect to do my homework before dinner. I expect you to do your homework. *NOTE: Expect cannot be used to speak about yourself in the past. Want is used in common speech. I want to do my homework. I want you to do your homework. Would like is used in polite and formal speech. Present / Future: I would like to do my homework. I would like you to do your homework. After want and would like, we do not normally use that. After want / would like, we use a (noun/pronoun) + to + verb. I’d, he’d, she’d, you’d, it’d, we’d, they’d.